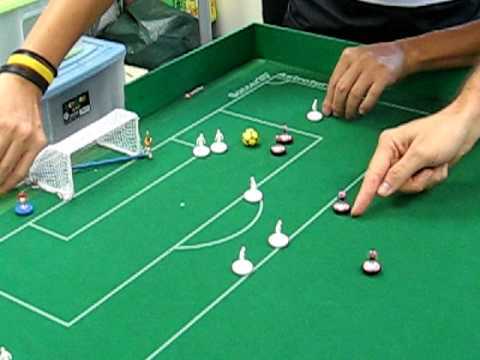 ORLANDO - Due to cost cutting measures, it was announced that the National Women's Soccer League final will be a Skyped Subbuteo game played over phone by Mark Parsons and Paul Riley from their prospective locations. "Mark Parsons has ordered a kick movement on Lindsey Horan. Paul Riley has ordered a move for Taylor Smith to block"
"We were really hoping that the NWSL final would feature the Pride, so we didn't plan on having to budget for team travel from over 600 miles and 3000 miles away," stated league operations director Amanda Duffy. "We spoke to both teams and told them to prepare for the game via phone and found a stream sponsor in Flyers Wings & Grill to fund the Skype stream so that our fans can watch as league officials play out commands from the two NWSL managers on a scale subbuteo table. Flyers Wings on 5621 W Colonial Dr.... now with more dipping sauces and more options, for a sophisticated wing experience." Reportedly, NWSL officials are concerned that they were unable to pre-order female represented Subbuteo characters. However, Duffy stated, "Both the Thorns and the Flash...er... the Courage should be honored to be represented by the Brazil and Argentina men's figurines in this game. What better way to honor our NWSL final than having both women's teams on an equal figurine representation field with two of the best men's national teams of all time." The Nutmeg News will have more on this as controversy erupts with Paul Riley claims that his figurines aren't getting respect from the figurine referees controlled by 18 year old Community College student Zach Boggs of Daytona Beach.